Like all modern businesses Wilkins Chimney Sweep wants to move forward and have identified paving/gutter cleaning as a natural bolt on to their current offerings. After researching the market Wilkins narrowed their search down to Spinaclean as their chosen partner, given our expert knowledge and experience in the field. 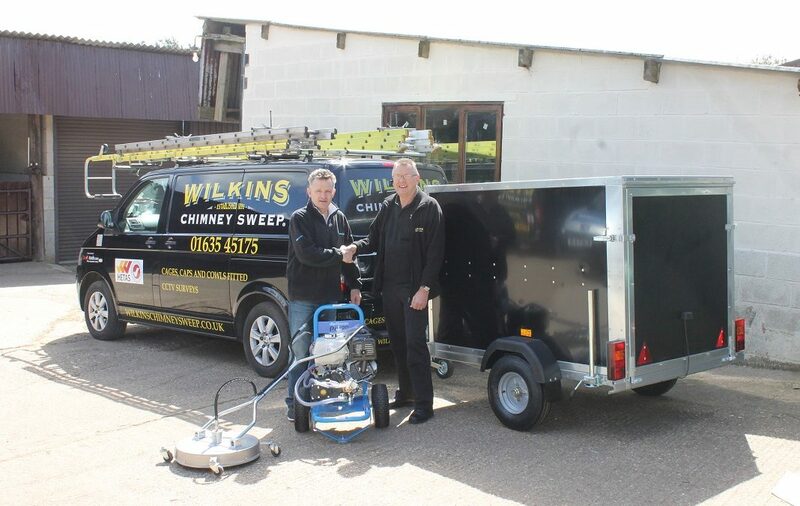 Both Peter and Louise Harris the owners of Wilkins Chimney Sweep attended a Spinaclean Training Day after which they identified the Slip Stream Pro 20 and Industrial SkyVac as their chosen equipment to offer their franchisees. The franchise model now gives you greater chances of earning money from three different directions, the flexibility is offered by the boxed trailers that Spinaclean supply.